Olivier Assayas + TIFF’s Summer in France: Serving up dollops of French cinema when the weather is hot outside is something of a tradition for TIFF Bell Lightbox. The latest incarnation of Summer in France should please any cinephiles who believe that Gallic fare can be a valuable counterbalance to the season’s Hollywood blockbusters. To further sweeten the deal, the Lightbox has invited one of France’s premier auteurs to introduce several of his films in Toronto’s first-ever comprehensive retrospective of his work.Something in the Air: The Cinema of Olivier Assayas launches June 22 with Cold Water, Assayas’s still startling 1994 feature about young lovers in the aftermath of the May 1968 revolts. 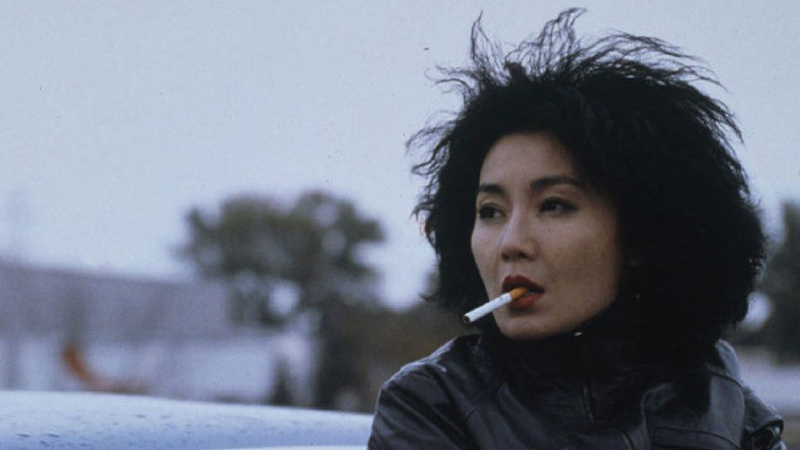 On June 23, the director will present a screening of Clean, the 2004 drama he shot partially in Toronto with then-wife Maggie Cheung and locals like Don McKellar and Metric. The series’ first weekend also includes two carte-blanche selections by Assayas: Robert Bresson’s Le Diable probablement and Gérard Blain’s Le Pélican. Along with the director’s most celebrated works — including his recent pair of collaborations with Kristen Stewart on Clouds of Sils Maria and Personal Shopper — the retro includes such rarities as his 2006 concert doc,Noise, and a pair of music videos for French electro-pop star Jacno. (As if Assayas’s past as a rock critic wasn’t obvious enough from his impeccably selected soundtrack.) The series runs until Aug. 20. A retrospective on Jean-Pierre Melville and a primer on French crime films help fill out the Lightbox’s summer of baguettes and berets. In Search of Israeli Cuisine: Philadelphia chef and James Beard award-winner Michael Solomonov hosts a cinematic-slash-culinary guide to the Holy Land in In Search of Israeli Cuisine. Director Roger Sherman’s film traces the evolution of Israel’s vibrant restaurant scene as well as the growing strength and diversity of its wine and cheese makers. A celebration of the great food and drink that has resulted from the mixing of more than 100 cultures, the film runs June 16-22 at the Hot Docs Ted Rogers Cinema. Breakthroughs Film Festival: Working hard to earn wider recognition for female filmmakers for the last six years, the Breakthroughs Film Festival returns to the Royal Cinema with two programs of shorts that highlight the efforts of emergent directors from all over the world. Standouts include Semele, a heartbreaking vignette about a girl’s quest for her father’s attention by Myrsini Aristidou of Cyprus, and A Night in Tokoriki, a Berlin prizewinner about an 18th birthday party that goes off the rails by Romania’s Roxana Stroe. The BFF runs June 16 and 17 at the Royal Cinema. Free Flicks at Harbourfront Centre: It’s just about time for the city’s summer outdoor screening series to reintroduce local moviegoers of the pleasures of al fresco cinema in the summertime. Harbourfront Centre’s Free Flicks is the first of Toronto’s most popular programs to get up and running with its season-opening screening of Hairspray on June 21 at the Concert Stage. More on this summer’s outdoor-cinema schedule in next week’s Projections. Errol Morris retrospective: To prime viewers for the June 23 release of the American doc master’s latest, The B-SideThe B-Side, the Hot Docs Ted Rogers Cinema presents a mini-retro of Errol Morris essentials this week. The series begins June 16 with The Fog of War, his 2003 profile of former U.S. defence secretary Robert S. McNamara, and continues with early faves likeGates of Heaven and The Thin Blue Line.